Does a Motorhome Require More Than Just Auto Insurance? Insurance can be a complicated matter, but you can typically guess which items require which types of coverage. Your automobile, for example, is covered by auto insurance. Your home then is covered by, yep, you guessed it, home insurance. The motorhome, on the other hand, is a little ambiguous. It’s a vehicle, but the word “home” is right there in the name. So how do you protect this massive, mobile, build-for-taking-cross-country road trips machine with insurance? Here’s how it works. Though a motorhome is something you drive, it is obviously different from a typical car or truck. Consequently, a motorhome requires a different type of coverage. Or to be exact, it requires morecoverage. The reason you need more coverage is that there are a lot more parts to a motorhome than a regular vehicle. It is vulnerable to collisions, for example - but unlike a car, you can pee in it. It’s perks like this that demand a little more coverage. Motorhomes can contain plumbing, stairs, awnings, furniture and electronics, none of which come protected under standard car insurance. To cover a motorhome, you must get a policy designed specifically for a motorhome. In a sense, it’s a hybrid policy that includes elements from auto and property coverages. It covers you on the road, and also covers the contents of the vehicle. 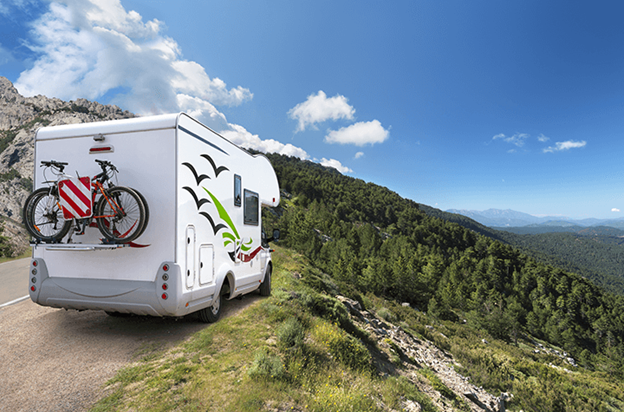 What Else do you Need to Consider When Insuring a Motorhome? The first thing to consider is the classification of your vehicle. Is it Class A, which is the largest type? Is it Class B, which is usually like a large van. Is it Class C, which is a hybrid of the other two types? The type of motorhome you have will determine the best policy available to you. A second consideration is that while motorhome policies cover vehicular damage and contents, they may not automatically cover all types of liability. You have coverage against driving accidents, but motorhomes might also be inhabited when not moving. For example, RVs and campers often served as the dwelling for people at campsites. Just as if an injury occurs within your home, an injury that occurs within a motorhome can leave you legally liable. Check to make sure your motorhome coverage protects against all liability. That way if a guest trips and falls while exiting the vehicle, you’ll be protected. Emergency expenses are another optional component of insurance for motorhomes. This type of coverage provides compensation if you incur expenses because your vehicle breaks down or is uninhabitable (ex; hotel). As you can see, insuring a motorhome is not as straightforward as insuring some other assets. It’s always worth talking with an expert, especially if you’re a first-time owner.